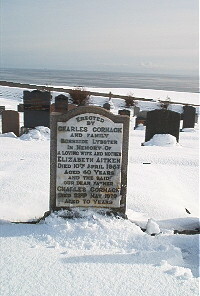 Erected by Charles Cormack and family Burnside Lybster in memory of a loving wife and mother. Elizabeth Aitken died 10th April 1957 aged 40. Husband Charles Cormack died 23rd May 1979 aged 70.